Starring Annette Bening, Ed Asner, Gary Cole, and Kate Mansi. 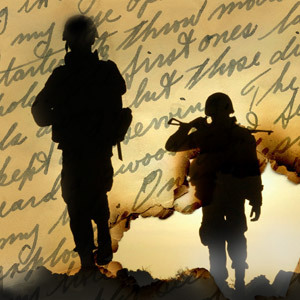 In honor of the 100th anniversary of Veterans Day, this critically acclaimed play features actors performing real letters by troops and their families in times of war. From love and heartbreak to resilience and humor, this deeply moving experience traverses the full range of emotions. If All the Sky Were Paper includes a live premiere performance of a new original score by composer Peter Boyer. Veterans and Active Military: Purchase up to two tickets at 50% off. Show your military ID upon arrival. Chapman Students: 50% off one ticket. Must show student ID upon arrival. One-time use. Does not apply to previously purchased tickets.